Just having some fun XD Sorry Asa. XD He would rather be anywhere but there. Oh look at his face he really calm and....well you can't resist girl invite. He so cute any way! Take a pink and white one, it look good on him! 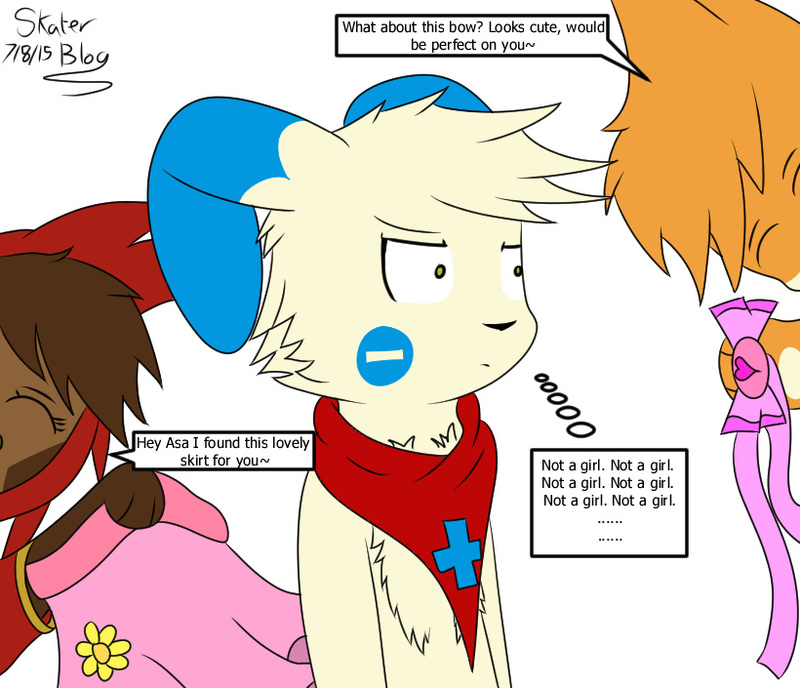 XD Aww but Asa isn't a girl~ he's fun to tease though. So true!!! X3 Put something pink on him!